For around the past five years, the advertising industry has slowly moved from a desktop to a mobile-first world. As of 2016, two-thirds of all digital time is spent on mobile. About 85% of that time is spent in apps. And thanks to push notifications and ads for native, search, interstitial, and rewarded video apps, marketers have a new set of tools to drive users and new business through their app. One crucial but often forgotten app strategy is App Store Optimization. App Store Optimization (ASO) is the process of optimizing mobile app listings to rank higher organically in App Store search. 67% of apps are discovered and downloaded through App Store search. Yes, Apple’s new search ads have sent a ripple through the mobile ecosystem that has yet to be fully realized, but app store rankings and the app store experience should be a high priority for all app publishers. You can now determine your App’s optimization status on your own and draw up estimates for free with our App Store Optimization Calculator. On a high level, ASO strategy is broken into two groups: keyword strategy and asset strategy. Keyword strategy involves identifying and tracking search terms that an app should rank in. The Google Play and Apple App Store are relatively young, and the ranking algorithms are still changing. With that said, we know that the app title, keywords (iOS), and app description (for Play Store) are strong signals for the app store ranking. A strong keyword strategy starts with extensive research. Understand your target users, what they search for, and how they search in the App Store. The Google Keyword Planner is a good place to start! Keep in mind that App Store search behavior is different than web search behavior; in general, app store searches are shorter and more direct (e.g. web search term “best flashlight app for iOS” vs. app store term “flashlight”). ASO service provider like Supreme Media can identify your competitor keywords and estimate volume and competition by search term. Just as with traditional SEO, the ideal keyword strategy balances relevancy, competition, and search volume and must be tested and monitored over time. Another common mistake that app marketers make is to only target single-word keywords. Again, they are usually the most competitive. Multi-word keywords are less competitive and they still represent a significant number of searches and help increase the number of app downloads. The main visual elements are the app icon and screenshots carousel. Video assets are important for games. The Play Store has a feature graphic at the top of the app page; the App Store only has it for featured apps. Google Play Store Experiments or vendors such as StoreMaven can be used to A/B test and optimize assets. Additionally, localizing assets by language can unlock growth internationally if your product is built for multiple markets. ASO is an important strategy for all app publishers and has become increasingly valuable as more and more apps are added to the app store. Supreme Media takes a consultative approach and prepares a tailor-made plan for each client’s app to ensure the best outcome.We want to help our clients get the best value for their money and ensure that their targets are met. For a FREE ASO consultation with our mobile experts, click here. You might be wondering whether reviews really matter when it comes to your app … Let’s jump straight to the conclusion and say yes, it does matter (and much more than people realize). To know more about how to increase organic downloads on your app, click here. 70% of people trust local businesses more as a result of positive online reviews. 80% of consumers have changed their minds about a purchase based solely on the negative reviews they read. 88% said they trust online reviews as much as personal recommendations. 57% of consumers visit a local business website after reading online reviews. With respect to apps, these opinions and reviews also affect how visible they will be in the app store search results. Users tend to download the first app that appears in their search result and app reviews are one of the factors that decide which app gets this highly coveted spot. The key to increasing and improving your app reviews is by providing exceptional customer service. By allowing unhappy users to easily get in touch and express their concerns, you show them how valued their opinion is. How? Include a “Send Feedback” button in your app that connects straight to an email form. You can use this as a two-way channel of communication to improve your app. This way problems get solved much quicker, and the customer is left with a more positive feeling after they deal with support. Once you have helped your customer, you can politely ask them to review your app. Remember, never purchase fake reviews or you will run the risk of having your app suspended from the app store! Anyhow, organic reviews are a win-win for the user and the app developer: it helps to improve the app for its users, as well as increasing its ranking and downloads. A report by Statista reveals there are 2.2 million apps in the Apple App Store and 2.6 million apps in Google Play Store as of January 2017 and December 2016 respectively. By looking at these impressive numbers, one can easily conclude that the mobile app ecosystem is expanding like never before! But if you think all apps are able to receive substantial downloads, you are sadly mistaken. The mobile market is saturated to the core, and today it is quite a challenge to get discovered beyond top 25 charts on App Stores! While some apps fall behind in the race in terms of fixing advertising budgets, others lose out in App Store optimization. And, the overall customer experience also plays a role! Basically – there are different reasons for different brands that call out for different strategies. The unfortunate bit is not all brands think of giving their mobile marketing a major overhaul! It is the process of optimizing mobile apps to rank higher in an App Store’s search results. According to Forrester, 63% of apps are discovered through app store searches. So if the brand is not using ASO to up its app’s search ranking, it is basically missing out on the largest discovery channel available to apps! So pick a nice title for the app and stick to it. Pay special attention to the keyword as a solid keyword will result in 10.3% rise in ranking. Make sure the app description is well written because that’s also taken into context while getting ranked. Not to forget about app ratings – ‘coz that matters more than you might think! Lastly, ASO takes time to prove to be effective. But it is effective! Click here to get a free ASO consultation with our mobile experts. Facebook has taken an excellent step to make undiscovered apps visible on the user screen with the option “Find Apps”. Obviously, it has benefitted many mobile apps and App Stores can also use this technique to increase the discovery platform of apps. Additionally, it is now possible for the user to see the apps while someone types in the search bar of any of the App Stores – that’s called the visual search. Mobile app ratings and reviews are a great way to encourage users to download and install the app but for this, a proper marketing strategy needs to be put in place. The world has gone digitally global! It is easy to make something go viral beyond barriers – if done in the right manner. To increase app visibility in the App Store, the brands can create different versions of the app. So when the user looks for programming apps, (s)he will find its programming course. When the user looks for business apps, (s)he will find one of its business courses. The only drawbacks is that the apps will lose out on a bit of ranking, but the brand will get maximum visibility in the app ecosystem! Apple allows developers to include their apps in up to 3 bundles of 10 apps. The biggest advantage is that bundles feature in a separate section of the featured apps page – which means higher app discovery. Bundled apps also offer a better value deal which makes them more appealing to at least a certain demographic. Moreover, app bundling not only gives a big enough boost to rank higher but also reaches out to more users and hence, increases app adopt-ability. According to a Gartner study, less than 0.01% of all mobile apps will be considered commercially successful through 2018. That’s where Progressive Web Apps come into the picture. Unlike mobile apps, a brand can immediately start using a PWA, thus eliminating the downloading and installation stages. PWAs have a better loading experience, function offline, and are discoverable by search engines! They can be optimized just like a website URL. They are still linkable that can be promoted, just like websites – which makes them such an awesome feature to use! Don’t think creating an app is essential for everyone. It depends on the spectrum that a brand is functioning in. So if it is really that important for the business venture, then take baby steps to ensure the app gets discovered and doesn’t get lost in the sea of mobile apps. Supreme Media takes a consultative approach and prepares a tailor-made plan for each client’s app to ensure the best outcome.We want to help our clients get the best value for their money and ensure that their targets are met. YOU WON’T BELIEVE HOW THESE TIPS COULD HELP YOU MAKE MONEY OF YOUR APP! With the mobile application development market evolving substantially over the past few years, mobile app developers are keen on making money from this growth in the mobile market. Click here to get in touch with our mobile experts. It is a well-known fact that creating apps takes a lot of resources (time and money). The big questions: how can developers recoup these resources? How can they profit from mobile application development? Many strategies can be employed for the purpose of monetizing your mobile apps irrespective of whether they are paid and free apps, but even before that you have to make sure that your app is ASO ready in order to get users to download your app. As a mobile app developer, you need to understand and implement smart options for generating revenues. Advertisements and in-app purchases allow you to make money off your apps. This option allows you to offer paid mobile features within your app. Also, you can generate revenue from CTR (click-through-rates) and pay per impressions from ads in your apps. iPhone and Android apps offer paid access to additional features and auto-renewable subscription options using in-app purchases. Mobile app development companies need to make sure they build an active, large user base so as to improve chances of getting sufficient revenues. Only a small percentage of your app users will not bring in profit if you rely on in-app purchases and advertising. It is one reason why you need to grow a large, active user base so that this percentage of users will increase and bring in profit. We here at Supreme Media help optimize your app to the very best in order to get it in front of a larger audience. Endeavor to carry out market surveys and examine strategies your competitors are employing for the monetization of their apps. Closely look into their system or techniques, identify loopholes or areas they aren’t exploring yet and improve on this to flat out better apps and boost your monetization strategy. Cultivate a better understanding of what users want. Know what motivates or attracts them. Research the demographics of your app users and use this to present relevant advertising tailored towards specific needs. You need to decide which platform(s) suit your app most. Apple’s platform is known to be the best for monetization as 25% of developers on the platform earn about $5,000 per month. Android is next with its continuous market penetration. About 16% of Android app developers make over $5,000 per month. There are some platforms you should avoid at first. These platforms do not provide lucrative monetization strategies. The Windows OS and Blackberry platform lack market penetration, unlike iOS and Android platform. When your apps are profitable and popular, you can decide to develop apps on these platforms. Reviews and user ratings complement in-app purchasing. More positive reviews for your app means more download and traction. You need to create excellent apps that will satisfy users and propel them to give positive reviews. There are wide varieties of opportunities for making a fortune in the mobile app industry. You only need to familiarize yourself with the app market and competition, follow trends and leverage on all these to increase your revenue. Knowledge of your audience is also crucial to note, as this will enable you to cater for the right paid user experience. Always remember that without the users, all your monetization strategies will be in vein: it all depends on traffic. Click here for a FREE ASO consultation with our mobile experts. 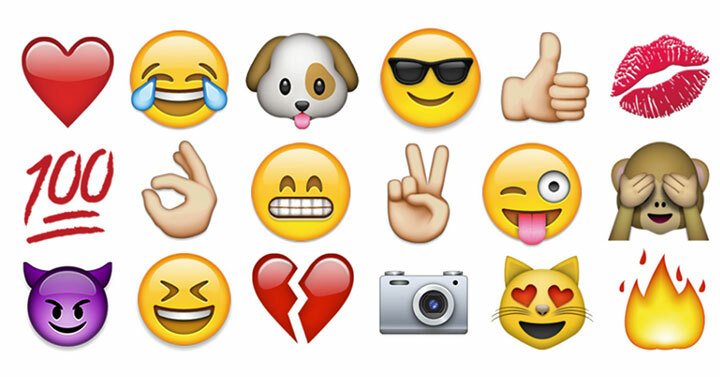 With a feature film, touch bar and dedicated search engine, emojis are having a moment. Now, app developer Novoda has done a study showing that they can even convince you to download apps. 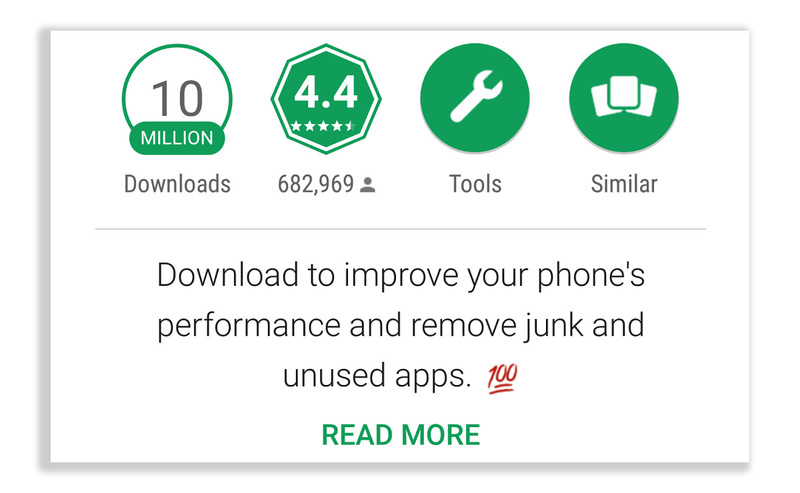 Using the A/B tool in Google’s Developer Console, the team tested three emojis (🚀, 🚮 and 💯) in the short description of the popular CCleaner app from Piriform. Click here to know more about ASO and other optimization tools. The group tested each icon with 25 percent of Google Play Store users in various countries, and used none for the other 25 percent as a control group. In Germany and Italy, the “rocket” and “100” emojis icons prompted users to download the app over 20 percent more often than the control group. Poland, bizarrely, showed a propensity for the “litter can” emoji to the tune of about 7 percent. Results in Russia, Spain and France were inconclusive, and though the US is the most prolific emoji-using nation, folks there were more likely to download an app without one in the description, oddly enough. Novoda’s takeaway is that “App Store Optimization has real and measurable effects on [developer’s] revenue,” it writes. However, that doesn’t apply across nations, and users in different countries prefer different emojis. “Localize your tests to get better results,” it advises. We’d be curious to see if they get the same results in a year or two . Take your chances and optimize your apps now! Click here to estimate FOR FREE how many downloads could ASO bring to your App!